Provide comfort for the family of Gerald "Jerry" Mariani with a meaningful gesture of sympathy. Passed away peacefully at St. Joseph’s Hospital on March 11, 2019 in his 75th year. Beloved husband of Wendy for 35 years. Jerry was born in Toronto, Ontario to Mary (nee Rubino) and Joseph Mariani (both deceased). Son-in-law to Reg and Barbara Marratto (both deceased). Lovingly remembered by his daughter Michelle of New Market and predeceased by his daughter Holly, of Tampa. Grieving deeply are the loves of their Papa’s life, “Main Man” Cristiano, “Cuddle Bug with the best kisses ever” Mia, and his “Best Boy” Jase. Jerry leaves behind his sister-in-law Sherry Bird (Brian) and brothers-in-law Gary Marratto (Lisette), Paul Marratto, and Brad Marratto (Paula), as well as nieces Sarah Zelsman (Jake), Meghan Bird Francis (Amanda), and great niece Lennon. Jerry is also survived by many aunts, uncles and cousins. Jerry was a graduate of DeVry Institute in the area of communication electronics and before the age of 30, he established his business, Delco Wire and Cable Ltd. In Concord, Ontario. Over the thirty years that Jerry remained as owner and CEO, the business, thanks in part to the loyal staff and his excellent leadership, grew to include locations in Hong Kong, Edmonton and Tampa, Florida. Jerry enjoyed trapshooting since he was a young boy. He excelled, won many a trophy and travelled with his good friend, Andy Murdock, to compete in Canada, the U.S., Mexico and abroad. Jerry, together with his father, Joe Mariani and family friends, Arrigo and Tony Pezzetta, was instrumental in founding Toronto Gun Club where they and their families worked diligently to elevate the sport in the community. Jerry worked tirelessly the year he was the President of the Ontario Provincial Trapshooting Association to improve the quality of the sport in Ontario, to preserve the aging but historical Hamilton Gun Club, raise interest and increase membership. During this time, Jerry served on the Board of Directors for the Toronto Eye Foundation which helped bring the first ever laser excimer to Canada. As someone who suffered from poor eyesight, he was especially motivated to bring these benefits to so many. In 1994, Jerry moved to The Silver Dollar Trap and Golf Club in Odessa, Florida as a semi-retiree. While there, he participated in the Annual Chairshooter Foundation Fundraisers to provide scholarships to paraplegic and quadriplegic students. He taught the chair bound to clay target shoot and helped them to overcome some of their lesser adversities. As well as shooting, his hobbies included the building and owning of custom-built motorcoaches. He was an avid collector of cars during his entire lifetime; Sports cars, classic cars, luxury cars and race cars. His knowledge of such was inexhaustible. Perhaps being genetically predisposed, Jerry loved construction. He was at peace watching concrete being poured and he followed every trade doggedly, if it was a house or office building that was being built for him. One of the hobbies Jerry found later in life was horses. He loved playing with them, feeding them, owning them, brushing them, travelling with them but mostly driving them and competing with them. The horses and their people brought immeasurable joy to Jerry and his family. Suffice it to say, his Heavenly Father saw fit to grant Jerry a long and full life. He was incredibly blessed by the abundance of love given to him by the babies left in his care by God, through his daughter, Holly. Father and daughter, son and parents and old shooting buddies will be reunited again in peace and love. May your cigars be smooth and Cuban and your whiskey, single malt and Scotch! Many deep and heartfelt thank you’s are sent to the nurses, techs and friends of the St. Joseph Dialysis Clinic who demonstrated their care and compassion on a weekly basis to Jerry and our family; to the ER doctors and nurses at St. Joseph’s Hospital for their kindness and unending patience, esp. Jordan, Josh, Tessa and Dr. Sydney Godzisz. Lastly, to the village (you know who you are) that has helped raise this family up and who are keeping this ship afloat during times of troubled waters, my love and deepest thanks. Cremation has taken place. Visitation will be held at P.X. DERMODY FUNERAL HOME (796 Upper Gage Ave. between Mohawk and Fennell) on Tuesday, March 26, 2019 from 6-8 p.m. A Funeral Mass will be celebrated at St. Ann’s Roman Catholic Church (11 Wilson St. W., Ancaster) on Wednesday, March 27, 2019 at 10:30 a.m. In lieu of flowers, donations to the St. Joseph’s Kidney Foundation would be greatly appreciated by the family. To send flowers in memory of Gerald "Jerry" Mariani, please visit our Heartfelt Sympathies Store. 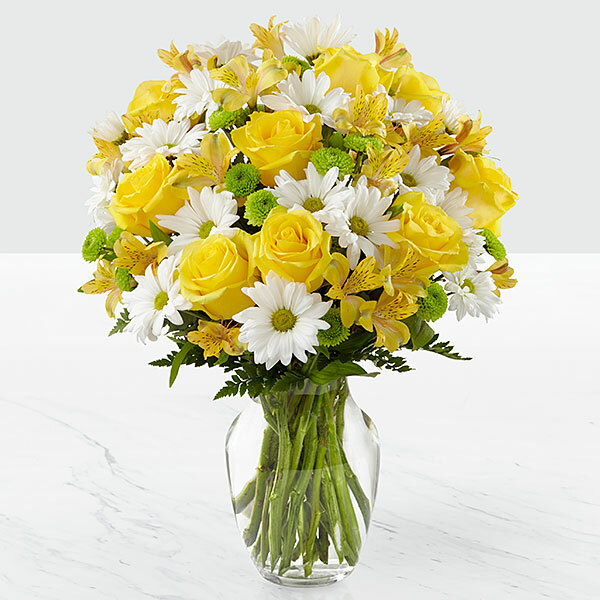 Provide comfort for the family of Gerald "Jerry" Mariani by sending flowers. Our warmest condolences. Jerry was a large part of my childhood and I will never forget him. Heartfelt Sympathies Store purchased flowers for the family of Gerald "Jerry" Mariani.